The government is inviting bids for a new £1 million Coastal Revival Fund round, which is for grant funding to be spent in 2018 to 2019. Bids of up to £50,000 per project are to be submitted by 5 July 2018. This Coastal Revival Fund round will support projects to help revive heritage assets that are important to local communities but have not yet reached their full economic potential or are facing neglect. Examples of eligible sites and assets include seafronts and public squares, as well as piers, parks, promenades, lighthouses, lidos, marinas, military structures and so on. There should be a clear link between what the project aims to achieve and planned future improvements to the asset. The Lloyds Banking Group Credit Union Development Fund was set up as a four year fund with £1 million available each year. Following the success of the first four years, Lloyds Banking Group has agreed to an additional year of funding in 2018 and a further £1,000,000. Grants will be made to existing credit unions which can show good performance and strong plans for their future development. Large Grants (of between £50,000 and £100,000) will provide a contribution to a credit union’s reserves and help remove barriers to growth and innovation. Open to all credit unions including previous Large Grant winners (with some additional criteria). 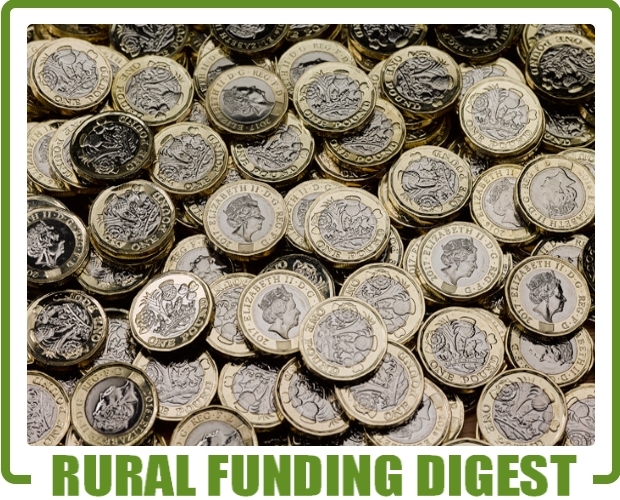 Seed Grants (of between £10,000 and £20,000) to help credit unions invest in resources and activities to improve sustainability and increased efficiency for lending, such as the costs related to a merger or investment in digital improvements. The closing date for applications is 18 June 2018. This £4 million initiative is funded by Comic Relief with the Department for Digital, Culture, Media and Sport (DCMS) and the UK’s Devolved Administrations to support organisations that are working to end violence and abuse experienced by women and girls across the UK. The government funds have been raised through the Tampon Tax. They expect to make up to 40 grants of £60,000-£120,000 for between one and three years. They may award grants larger than £120,000 to those bidding in partnership with others. The closing date for applications is 2 July 2018. The TDS Charitable Foundation exists to raise the standard of private rented housing management. Each year they select particular areas as a focus for their work and funding. In 2018 the Foundation is looking to support projects which focus on one of the following themes: Promoting knowledge of landlords’ obligations; Promoting knowledge of tenants’ rights & responsibilities. The growth of the private rented sector has been fueled in recent years in part by the rise of the ‘accidental landlord’. This is often a person who owns property but who is required by circumstances to let the property. These landlords tend to be inexperienced and not fully understand the obligations that they have to meet as a landlord. The Foundation invites proposals that will help to educate such landlords about the obligations of being a private landlord. The Foundation is also aware that many tenants are not fully aware of their rights and responsibilities and the Foundation is inviting proposals which will help educate tenants about their rights and responsibilities. The deadline for applications is 14 June 2018. To celebrate the Foundation’s anniversary and the vital role of volunteers and community charities, an additional grants scheme opened to applications from 5 January and will close on 30 June 2018. One off grants are available to support Capital projects to provide new or improve existing community facilities that will benefit local communities across the UK. The Fund is open to UK registered charities, CIOs, places of worship and state schools only with a total income under £3million. Grants can range from £30,000 – £150,000 with total project costs not exceeding £300,000. Decisions on applications will not be made until October 2018. Santander has £400,000 to support Changemakers who turn to the Crowd to make great ideas happen. If you have a project which the Crowd support Santander provide the final 50% to help you reach your target, up to £25,000.